Nugget mice never grow very big, and are not very good at getting anywhere fast. When the other mice were handing out jobs, they decided the Nuggets were no competition for the likes of the Big Bad Burroughs clan. After all, Nuggets can't smash or bend or bury anything. . . and yet, the little Nuggets lead a peaceful life, gathering little bits of things that they find on the ground and hoping that they might prove useful. They're fond of shiny beetle shells, and like to form collections. The Nugget Mouse is attracted only to Limelight Cheese. No Charms are required to attract the Nugget Mouse. Arming the Mining Charm provides a power boost against Digby Dirt Dwellers. The Nugget Mouse is weakest to Physical weapons. Hunting with other power types will be less effective. Hunters can encounter the Nugget Mouse only in the Town of Digby. 24 March 2010: The Nugget Mouse is released for the first time. 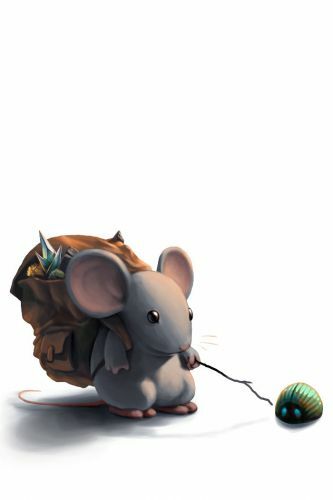 29 August 2012: The Nugget Mouse began dropping Ancient Relics as loot. This page was last edited on 28 February 2019, at 17:48.